Business owners and homeowners in Tampa Bay area communities who never want to worry about their roofs again can turn to Veterans National Property Services (VNPS) for a quick and expertly done roofing project. We are a Service-Disabled Veteran-Owned Small Business (SDVOSB), as well as a minority-owned business that not only specializes in new roof construction, replacements, and repairs, but is also well-known for being reliable and communicative. 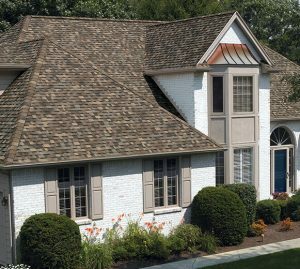 While other roofing contractors just do the job and leave, we’re there for our customers every step of the way and truly take pride in our exceptional craftsmanship. Our track record of success as expert roofers has even earned us the Lutz Small Business of the Year award. If you’re a business owner in need of a roof for new construction, a roof replacement, or roof repairs, we’ve got you covered. 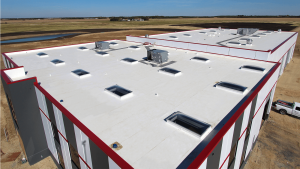 Our expert, in-house technicians have experience installing a variety of different commercial roofing materials. For instance, one of our most popular choices for flat roofing installations is Duro-Last’s energy-efficient Singly Ply Roofing Membrane. Plus, we have a special Duro-Last certification that requires our roofers to complete extensive training on the manufacturer’s best practices, so you can trust that you have the best team working at your business. We also install standing seam metal roofs that utilize a unique snap lock to resist wind uplift and are made locally in Clearwater. Or, perhaps you’d prefer a TPO or modified bitumen roof installation for your business. No matter what you need, VNPS will surely be able to get the job done. In addition to our commercial roofing services, we complete residential roofing projects for homeowners who need a roof replacement or repair. Our installation team can utilize Duro-Last flat roofing at your residence or shingles from well-respected manufacturers like Owens Corning and IKO. We install these products because they offer unparalleled beauty and durability, and are backed by ironclad warranties for your peace of mind. Plus, we are an Owens Corning Preferred Contractor and an IKO ShieldPRO Plus+ Contractor, so you can trust that your roof will be installed with the utmost precision by roofers who know the material through and through. Unlike some other roofing companies, we set realistic expectations and live up to them. So, whether we’re letting you know what roofing material would be best for your home or how long construction will take, you can rely on us, and we guarantee you’ll be “wowed” by the results. For more information on our residential and commercial roofing installation, replacement, and repair services, contact Veterans National Property Services today. When you do, be sure to ask about the financing options we have available for those who qualify. VNPS is proud to offer expert roofing services to those throughout the Tampa Bay area.